Dan Pfarr is the CEO of 180 Degrees. He formerly held significant positions at The Bridge for Youth, Bolder Options, and Catholic Charities of St. Paul and Minneapolis. He has an MSW in Clinical Social Work from the University of St. Thomas/College of St. Catherine and a BA in Social Work from the University of St. Thomas. In addition, Dan is chair of the state-wide Mental Health Protocol Team (Safe Harbors), a National Board Member for MANY (Mid Atlantic Network for Youth), and a member of the National Advisory Council for the Forty to None Project of Cyndi Lauper's True Colors Fund. He is also former president of the Youth Intervention Program Association. Dan serves on the board of Robbinsdale Little League and enjoys spending time coaching baseball. Ryan Clukey is the Director of Human Resources at 180 Degrees. He earned his MBA through Ashford University and his BA from Concordia College. Ryan previously worked at St. Paul Public Schools, where he was heavily involved in handling Employee Relations and Performance Management issues, as well being involved in contract negotiations. Most recently, Ryan was an HR Manager for a Minneapolis advertising firm, where he was responsible for all aspects of Human Resources. Richard Coffey, Director of Programs at 180 Degrees, is a businessman, entrepreneur, and former professional athlete who played basketball with the University of Minnesota Gophers and Minnesota Timberwolves. After his stint in the NBA, Richard continued his basketball career, playing and coaching in Europe and Asia. He also served for three years in the United States Army as an Airborne Paratrooper—a member of the first to fight last to fall 82nd Airborne. Richard believes "average is your enemy," and his ultimate goal is to assist others as they discover and utilize their talents to meet challenges and solve problems. ​Girma Yimam serves as the Director of Finance for 180 Degrees. 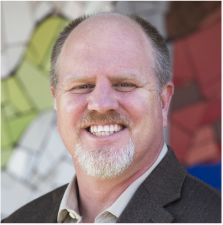 He has more than 20 years' experience in financial, administrative, and business management with a strong focus in the nonprofit sector. Prior to joining 180 Degrees, Girma served for five years as Finance Manager for Community Action Partnership (CAP) of Scott, Carver, Dakota Counties, where he was responsible for planning, directing, and organizing all financial, accounting, and operations functions, including budgeting and reporting on more than 50 federal, state, and local government grants. Girma’s experience also expands to finance, business management, and auditing in Africa and Canada. His BSC in Accounting and Marketing was earned from Saint Mary's University of Minnesota.